The US Dollar collapse has already triggered a major move in inflation plays. To whit, Gold has broken its SEVEN-YEAR downtrend. 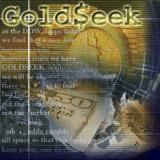 This post was published at GoldSeek on 31 August 2017. NOTICES FILINGS TODAY FOR SEPT CONTRACT MONTH: 40 NOTICE(S) FOR 4000 OZ. This post was published at Harvey Organ Blog on August 31, 2017. Unable to generate required returns through conventional means such as lending, Japan’s second-largest bank by deposits, which currently invests in equities only through passive investments in funds, plans on becoming a giant prop-trading hedge fund and aims to boost active stock holdings to several hundred billion yen in the next five to 10 years, said Katsunori Sago, executive vice president at the Tokyo-based company. In addition to stocks, the bank is also looking to buy “more higher-yielding overseas bonds”, (although in a time when junk bonds have near record low yields, one wonders just what the bank envisions) and alternative assets as it seeks to boost growth “in an environment where returns are being depressed by the central bank’s policies of negative interest rates and yield-curve control.” The allocation change is a huge departure for the lender which hold about 2 trillion yen in stocks, however all these are non-discretionary, through passive trust investments. This post was published at Zero Hedge on Aug 31, 2017. In his article today, Christopher Westley noted that Texas’s economy – when measured by GDP – is larger than Canada’s. In other words: If Texas were an independent country, it would be the world’s 10th largest economy (totaling $1.6 trillion), and its citizens would be more than capable of addressing natural disasters of the magnitude of a major flood. Texas’s economy is also larger than those of Russia and Australia. This post was published at Ludwig von Mises Institute on Aug 31, 2017. The smell of currency war is rising in the air. The U. S. Energy Department announced on Thursday that it would release 500,000 barrels of crude oil from the US Strategic Petroleum Reserve as a result of the disruption to the US petroleum industry following Hurricane Harvey amid fears of a surge in motor fuel prices, which have been compounded by the previously reported shuttering of the Colonial pipeline. According to the DOE statement, the oil will be delivered to the Phillips 66 refinery in Lake Charles, Louisiana, a plant which has not been affected by the storm. According to Reuters, the release – the first emergency release from the reserve since 2012 – will include 200,000 barrels of sweet crude and 300,000 barrels of sour crude oil. It was an exchange agreement, meaning the government will loan crude to Phillips 66, which is required to replace the reserve’s oil at a later date. The Energy Department ‘will continue to provide assistance as deemed necessary, and will continue to review incoming requests for SPR crude oil,’ spokeswoman Jess Szymanski said. Beyond the reality that most Americans are just getting by there are many other data points in the survey that are somewhat startling. This post was published at MyBudget360 on August 30, 2017. The big risk? The ECB taper… what follows? Today’s sermon is about complacency. Meanwhile, my stock picking chartist Steve Previs warns the gauges he follows, like put/call ratios and VIX, reflect an ‘overly confident’ market. He thinks a top is coming. In the fixed income markets I think we’re glossing over the likely pain to come courtesy of the ECB. Is the US Economy Doing Just Fine? With or without Trump’s help, the US economy is doing just fine. What does that mean for the US stock market? Carmel is one of the lead writers at The Fat Pitch and, according to Business Insider, one of the most important people to follow in finance. This post was published at FinancialSense on 08/29/2017. O-ho the Wells Fargo Wagon is a-comin’ down the street, creating fake deposit and credit card accounts. (Bloomberg) – Wells Fargo & Co. said employees created two-thirds more bogus accounts than initially thought, a sign the bank is still struggling to move past a scandal that sparked record fines and congressional investigations. An outside review found an additional 1.4 million potentially unauthorized deposit and credit-card accounts opened when the bank was encouraging employees to sell multiple products to retail customers, bringing the total to about 3.5 million, according to a statement Thursday from the San Francisco-based firm. The revised estimate covers January 2009 to September 2016, almost twice as long as the period examined in the initial review. This post was published at Wall Street Examiner on August 31, 2017. Remember the outrage one year ago when it was revealed that in its push to pad its top, and bottom line, Warren Buffett’s favorite bank had engaged in outright criminal account churning and “cross selling”, opening some 2.1 million unauthorized client accounts without permission (subsequently this extended to unsolicited car insurance policies extended on Wells auto loans). Well it turns out there was not nearly outrage, because as the bank revealed this morning, the “real” number was higher. 67% higher. According to the outside review whose findings were released today, Wells Fargo said employees created two-thirds more bogus accounts than initially thought. According to the review, an additional 1.4 million “potentially unauthorized” deposit and credit-card accounts opened when the bank was encouraging employees to sell multiple products to retail customers, bringing the total to about 3.5 million, according to a statement Thursday from the San Francisco-based firm. The revised estimate covers January 2009 to September 2016, almost twice as long as the period examined in the initial review. The New York Times’ DealBook had a great piece of journalism a couple of days ago about short VIX carry monkeys. Well, that is what I call them. The Times is more charitable, calling them VIX day traders. It does a pretty good job of capturing the VIX subculture, up to and including StockTwits, which eggs all these guys on. The article features a former Target logistics manager who, by consistently betting that the VIX will go down, has goosed his net worth up to $12 million. He is in the process of raising $100 million for a VIX-smashing hedge fund. I probably had about 20 readers send me this article. They are very scornful of this guy. Is it jealousy? Not really. People who understand the dynamics of these products know that it is the definition of picking up nickels in front of a steamroller. This post was published at Mauldin Economics on AUGUST 31, 2017. Following Chicago PMI’s collapse in July, August failed to provde any bounce in the soft survey data, printing unchanged at 58.9 (July was revised slightly higher). While marking the eighteenth consecutive above-50 reading, this month’s unchanged result follows July’s sharp decline that snapped a run of five straight monthly increases in business optimism. Since the plunge following North Korea’s latest missile firing, the dollar has rocketed higher on the heels of a collapse in the JPY (BoJ?) and this morning on a dump in the EUR (after leaked jawboning from ECB) for the biggest 3 day swing since December. Is this the start of a trend reversal in the dollar? Gold recently cracked through the $1,300 resistance level. Geopolitical instability continues to push the yellow metal higher as investors seek safe haven. But as the spotlight shines on gold, it’s important not to forget about silver. Analysis shows it may well be the bargain of the century. In fact, silver is tremendously undervalued. In July, Peter pointed out the huge spread in the silver-gold ratio, which currently stands at over 75:1. This means you can buy almost 80 ounces of silver with one ounce of gold. Consider that the historic average ratio is around 16:1. This post was published at Schiffgold on AUGUST 31, 2017. Beaumont, which boasts a population of over 100,000 people, lost both its main and secondary water supplies on Wednesday. Hurricane Harvey’s excessive rainfall caused the Neches River to overflow, which damaged the city’s water pumps, according to city officials. The city’s secondary water source, which is located at the Loeb wells in Hardin County, is also offline. This post was published at shtfplan on August 31st, 2017. Gasoline prices have exploded higher once again this morning – topping the Maginot Line of $2.00 for the first time since July 2015 – following reports that the main conduit for fuel from the Gulf to the East Coast has been shut due to Hurricane Harvey. Motor fuel prices climbed as much as 6.6 percent in New York, advancing for an eighth session, while crude oil was little changed. Harvey has shuttered about 23 percent of U. S. refining capacity, potentially cutting fuel-making ability to the lowest level since 2008 and depriving the Colonial Pipeline of supplies. Its operator was forced to shut the main diesel line late Wednesday and planned to halt its gasoline line Thursday, meaning motorists from Maine to Florida may soon see higher prices at the pump. Below is a daily chart for the SPX which shows you a good example of a morphing rising wedge. As you can see there was a false breakout above the top rail and then an equal false breakout below the bottom rail, symmetry false breakouts, red circles. Following June’s MoM decline in incomes, Americans saw a modest 0.4% bounce in July (better than expected). However, their spending grew less than expected (up 0.3% MoM vs 0.4% expectations). However, real personal spending rose just 0.2% MoM in July (below expectations). This sent the US personal savings rate down to just 3.5%, the lowest since December 2016. Thanks to a surge in government spending in Q2, Canada’s GDP grew at 4.5% SAAR. This is the best growth since Q3 2011 and is the best growth of all G-7 nations in Q2.